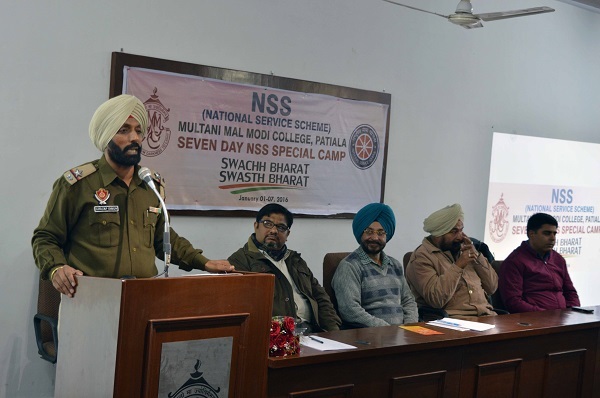 A Seven Day Special NSS Camp under the theme ‘Swachh Bharat – Swasth Bharat’ is being organized at M M Modi College here. While inaugurating the camp, College Principal Dr. Khushvinder Kumar laid stress upon the need to inculcate social and ethical values among the young boys and girls. 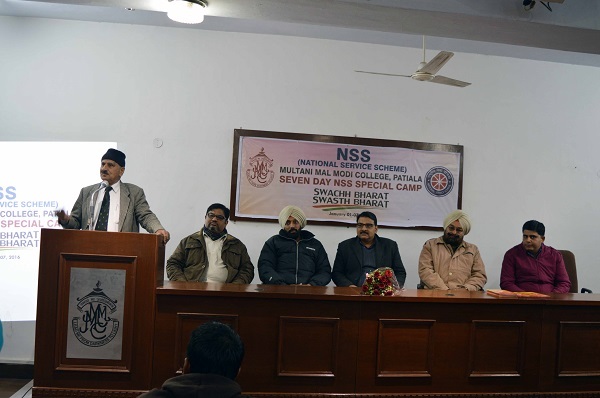 He also applauded the contribution of NSS camps in spreading the message of character building and patriotic spirit among the youth of the nation. Sh. Gurjap Singh, ASI, Patiala Traffic Education Cell made a multi-media presentation on Road Safety. He answered many queries of the participating volunteers. Sh. Gurmukh Singh, ASI, Punjab Police also spoke on the occasion. Sh. Sukhwinder Singh from Blood Bank, Govt. 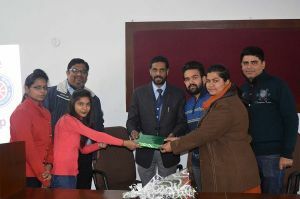 Rajindra Medical College, Patiala spoke on the ‘Need to Donate Blood’. He motivated the volunteers by explaining the emergencies where only the donated blood can save precious human lives. He said that accident victims and patients of serious diseases require blood. This requirement can be fulfilled through blood donations. He further said that blood donation is a social responsibility as well as a higher humanitarian activity. S. Kaka Ram Verma, a renowned social activist spoke on ‘Signficance of First Aid in Saving Human Lives.’ He also informed the audience about the legal aid services and legal rights of the elderly people. Prof. Ganesh Sethi made a presentation on Time Management. Prof. Prandeep Singh spoke on positive attitude in life. Mr. Manish Singh, a College Student spoke on ‘How to Save the Youth from Drugs’. Lt. Col. (Retd.) Bishan Dass delivered an interesting lecture on ‘Environment and Human Life’ where he laid stress on curbing the air, water and noise pollution. 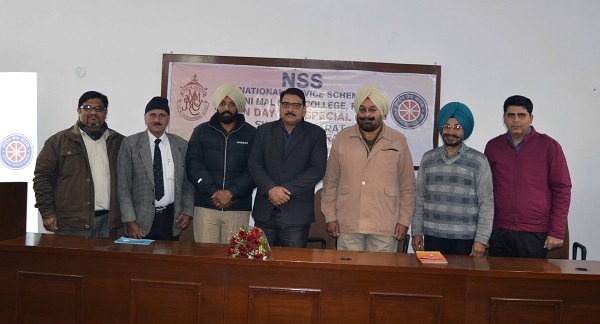 Prof. Harmohan Sharma, NSS Programme Officer of the College spoke on the need to meditate in order to release stress. He also said that these days e-waste has become major threat before the developing countries and laid stress on the recycled use of electronic gadgets. Dr. Harcharan Singh, Registar of the College presented the vote of thanks.